If you’re not listed in Google Maps, you’re missing out on a lot of revenue and even worse, you’re letting your competition hop, skip and jump all the way to the bank. Statistics show that around 33% of searches that are carried out on Google every single day have local intent. In other words, people are looking to see where businesses are located, their opening hours, available products and even directions to your business location. 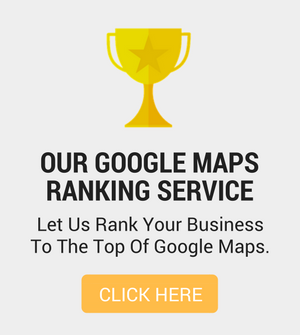 …you can’t afford to ignore Google Maps if you’re serious about generating a healthy revenue for your business. That’s why I put together this free Google My Business guide which shows you exactly how to add and optimise your business in Google Maps. I know many of you would rather stick a fork in your leg than have to go through all the boring, technical steps to achieve an optimised Google My Business listing. You just want the job done! So if you’d rather have someone else do all the boring, monotonous work for you, you’re in luck. Let us take on all the hassle and deliver a laser-optimised Google Maps listing. We’re so confident you’ll be pleased with the end result. Check for duplicate listings. 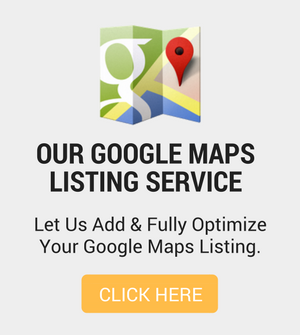 We will scan Google Maps for any duplicate listings, claim them and then remove them as this will adversely affect your rankings. Add your logo, cover photo, and other business photos. We will carry out keyword research and optimise each image to include a range of meta-data including; Latitude/Longitude, Name Address and Phone number data and target keywords. Add business opening hours. – We will update your GMB listing with your opening hours. Ensure the correct GMB categories are used. We will carry out all the essential research into your competition to ensure your business is listed in the best and most suitable category. Update your website with your NAP data and Map. We will strategically place your NAP information and embed your Google Map iframe on your website confirm your Name, Address and Phone number with Google, while ensuring consistency between your GMB listing and website. Website audit – A full 29-point Website Audit will be carried out which will test a range of factors that will help your business better perform in both Google Maps and Google’s organic search results. Citation audit – A complete citation audit will be carried out to check consistency of your NAP data in existing citations, highlighting any changes that need to be made. Having consistent NAP data across the internet is one of the most important factors you have to get right in order to stand any change of ranking well in Google Maps. Save yourself all the hassle and frustration and let us do all the boring work for you and deliver a highly optimised Google Maps listing (and more). You get all of the above tasks completed for you in our Done-For-You Google My Business page optimisation service, so contact us today.